Picture fourteen sensitively converted spaces, like a Georgian townhouse, a brewery, or a hospital, eclectically furnished in a timeless manner. 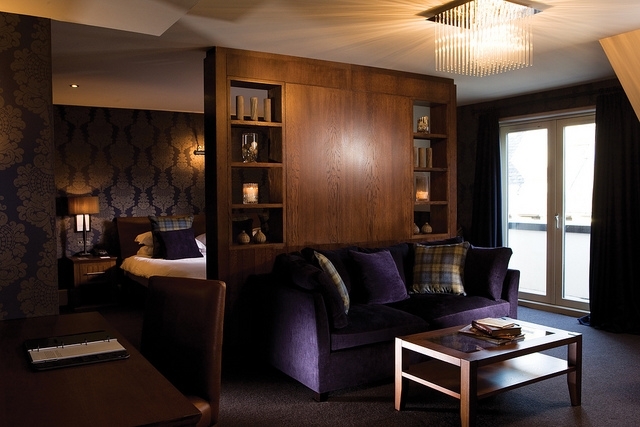 Imagine a trademark bistro, serving simple classics, an outstanding cellar, Egyptian linen and monsoon showers for your room, a glorious Laroche tasting room for the wine-lover, a cigar bothy in its gardens, and inspiring original art in its halls. 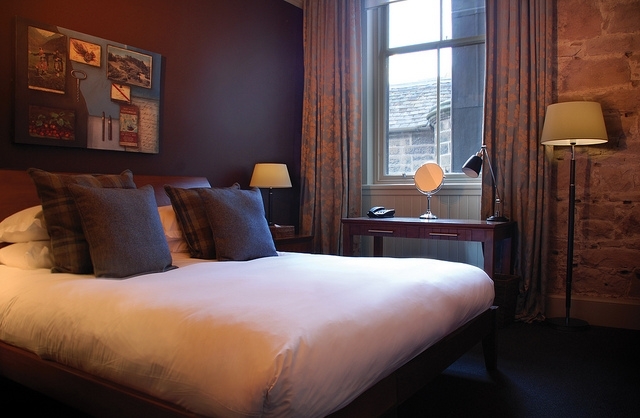 Hotel du Vin Edinburgh is nestled deep in Edinburgh's Old Town and only a short walk from the historic Royal Mile. Think quintessential British style. Elegant and unpretentious. 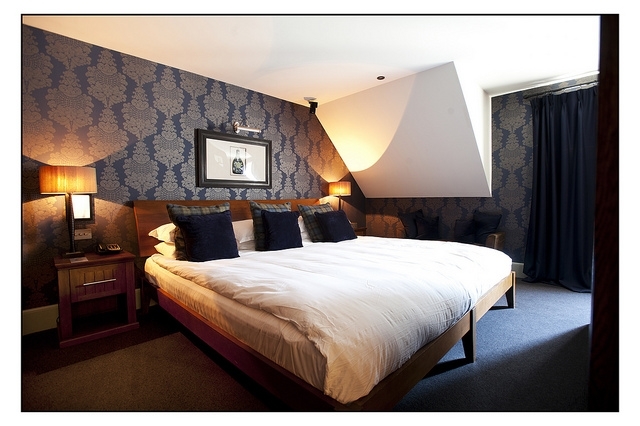 Combine this with great spirit, wit, an unquestionable devotion to wine, and you have captured the essence of Hotel du Vin. 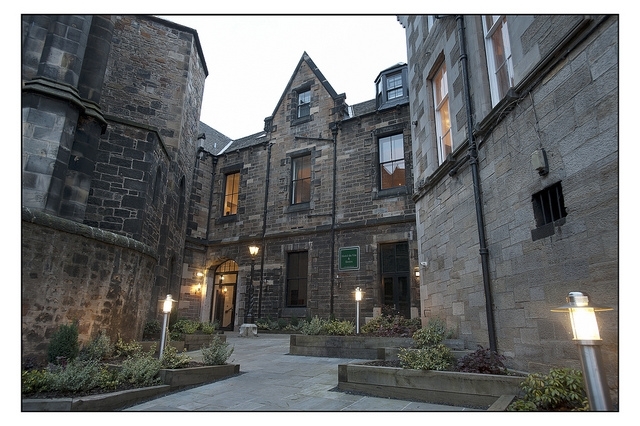 Neighbouring the famous Bedlam theatre, the Hotel occupies the site of a former asylum while its 47 timelessly furnished rooms and stunning suites featuring monsoon showers, luxurious Egyptian cotton sheets, plasma TV's, DVD's and air conditioning provide the perfect base to explore Edinburgh's historic and cultural heritage as well as enjoy her vibrant entertainment and nightlife scene. A relaxing haven, the hotel offers our trademark Hotel du Vin Bistro with mezzanine bar serving the finest classic European cuisine from the kitchen, alfresco and private dining, cigar shack, whisky snug and intriguing La Roche tasting room where you can be taken on a pilgrimage around the world's finest vineyards by our Head Sommelier without having to leave the room. 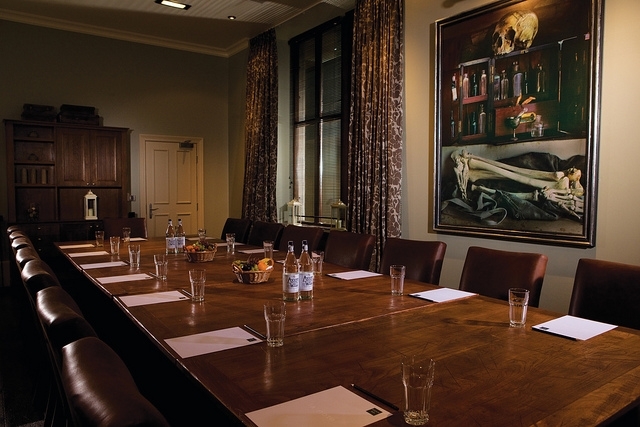 The hotel also offers a number of function, events and meeting rooms with that will inspire, sublime spaces equipped with the latest technology to help you get the most out of your time with us. 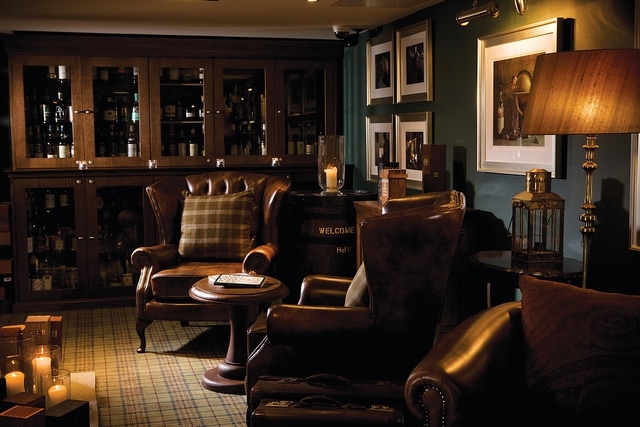 In keeping with Hotel du Vin tradition, Hotel du Vin Edinburgh, offers hotel guests and visitors access to our signature bar. 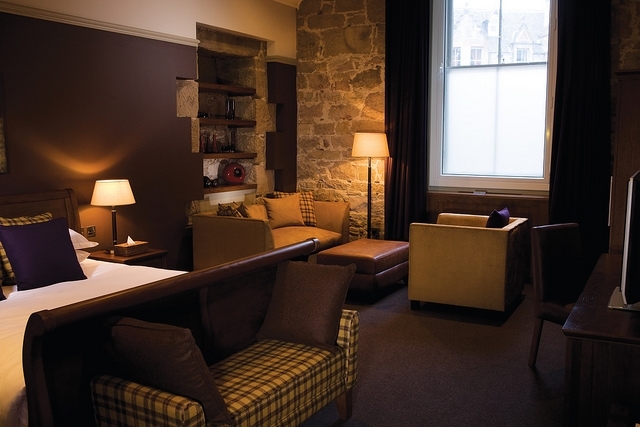 You will find the hotel bar provides a relaxing setting in which to sample our extensive and eclectic wine list, with an impressive array of fine wines. 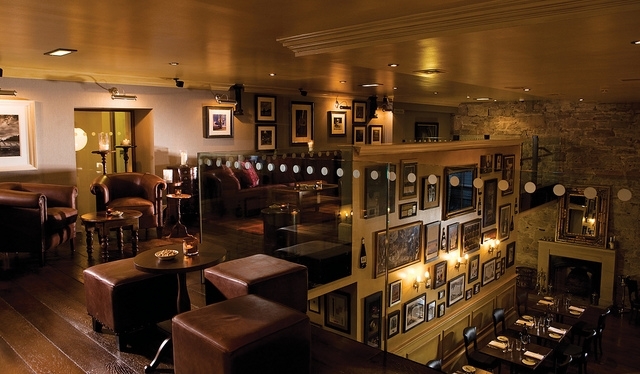 The bar also offers a wide range of other alcoholic or non alcoholic beverages and cocktails, as well as delicious bar snacks that will satisfy the most discerning pallet. 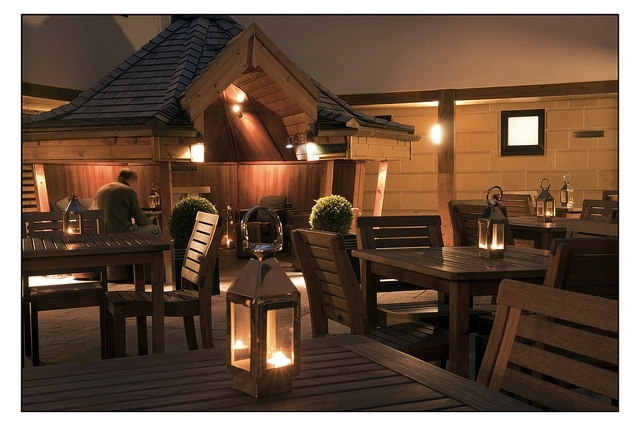 Our bar manager and the team are always happy to give friendly, knowledgeable advice on wines and spirits. 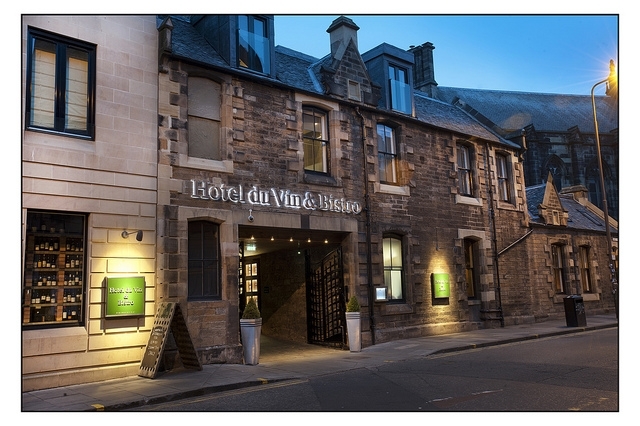 Popular with both guests and locals Hotel du Vin and Bistro is proudly one of the finest restaurants in Edinburgh. Open seven days a week for lunch and dinner, the Bistro sits 66 and offers a menu rooted in classic European cuisine with a contemporary edge. 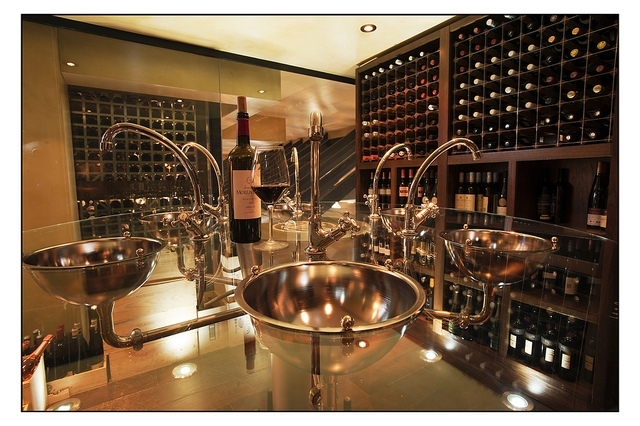 Our wine list is a key feature of the hotel and in addition to the main list, which includes an impressive array by the glass; there is a small daily selection of good value wines to complement the menu.